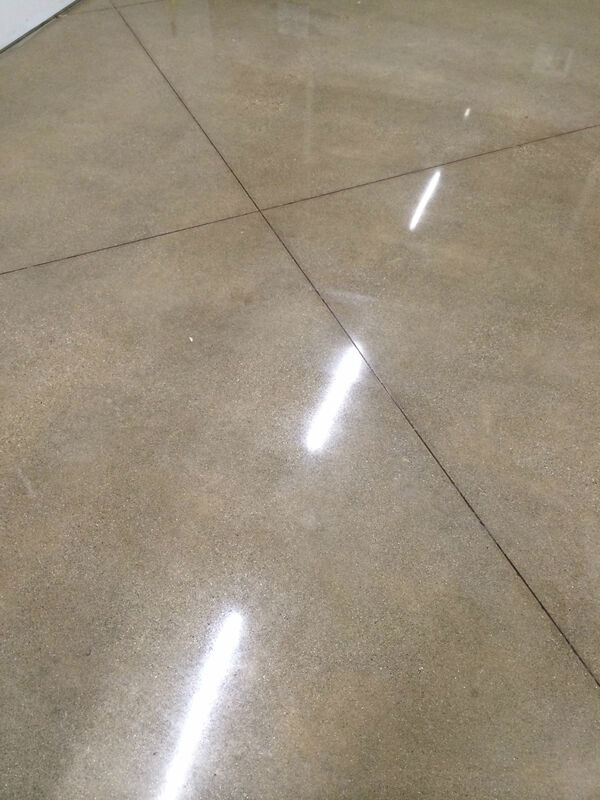 Without a proper maintenance plan and the adequate steps taken to ensure a polished surface, concrete is worn by time, stains and foot traffic. However, diligent measures can really go a long way. 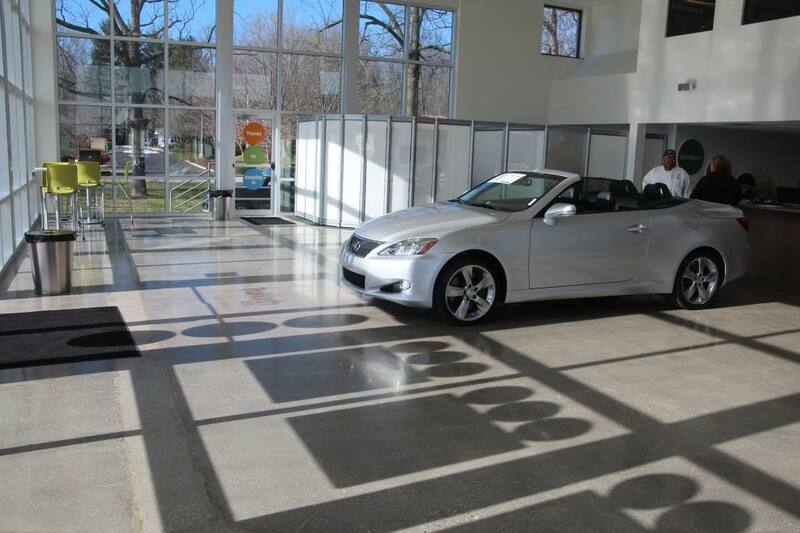 This next featured customer demonstrates how important it is to not only achieve a finished, polished look, but also the importance of maintaining it after the floor begins to lose its shine. 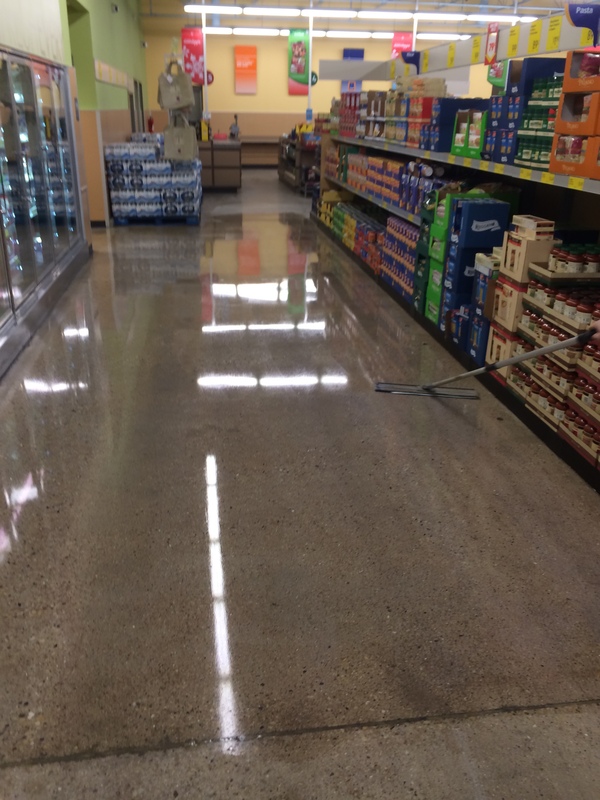 Although the majority of these pictures were taken directly after the floors were initially polished, Browning Chapman also restores and breathes new life into dull floors. Browning Chapman really has a lot of specialties, some of which are evidenced in the photos above. 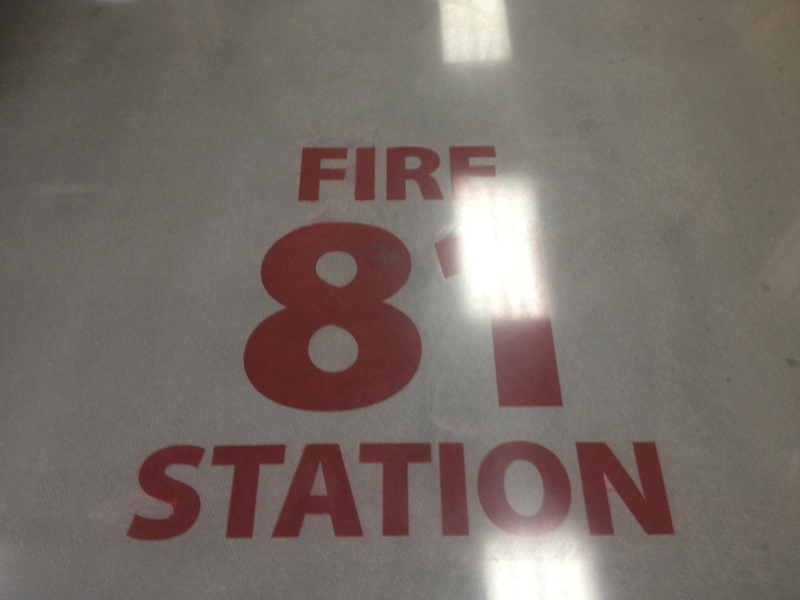 These specialties range from polished concrete to repair and maintenance. 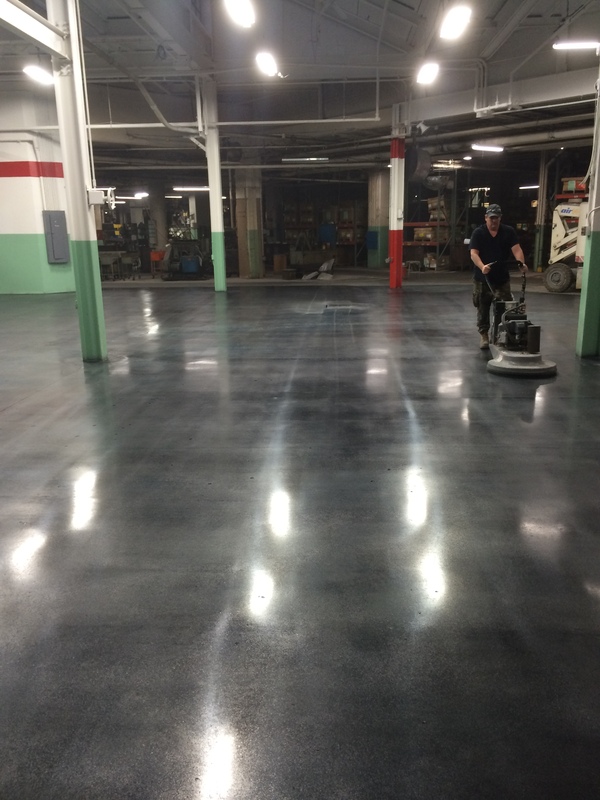 And as part of maintenance for its customers, a valuable service, Browning Chapman uses several Clarke products to keep floors looking as shiny as when they were first finished. 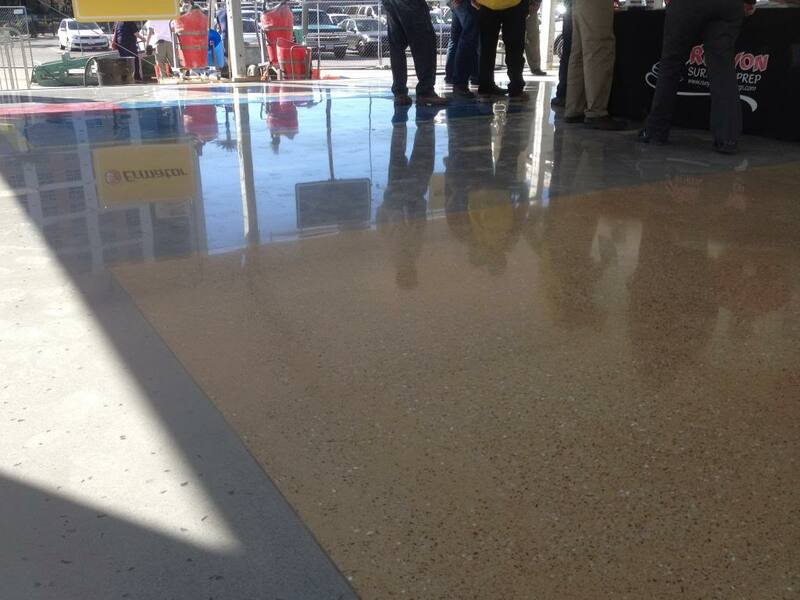 You can see that this crew’s polished concrete is incredibly reflective, and it will remain so if maintained properly. Browning Chapman, LLC is a contracting firm headquartered in Anderson, Indiana. 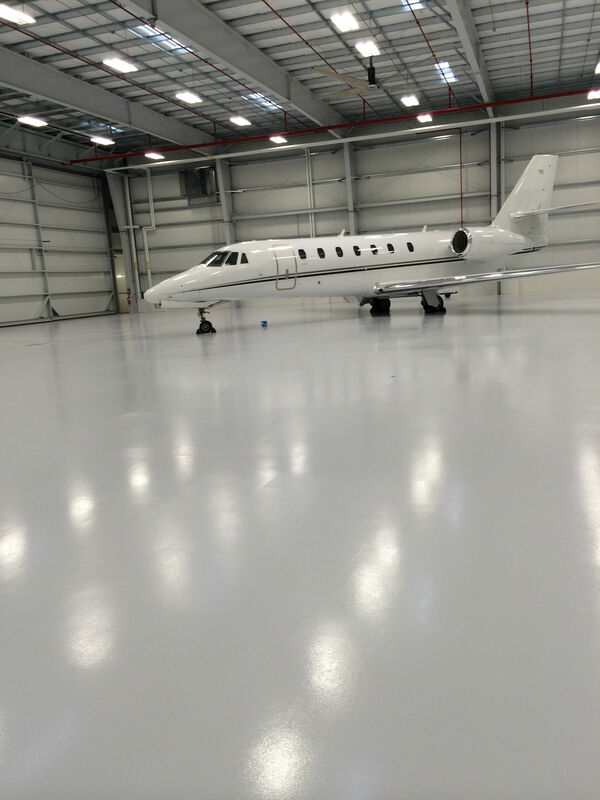 The company specializes in concrete restoration and maintenance work, coating removal, concrete floor prep, structural concrete repairs, epoxy injection work, masonry tuck-pointing and repairs, parking garage repairs and deck coatings, joint sealants, MMA coatings, epoxy coatings, epoxy reflector floors, polished and stained concrete floors, and terrazzo vitrification. 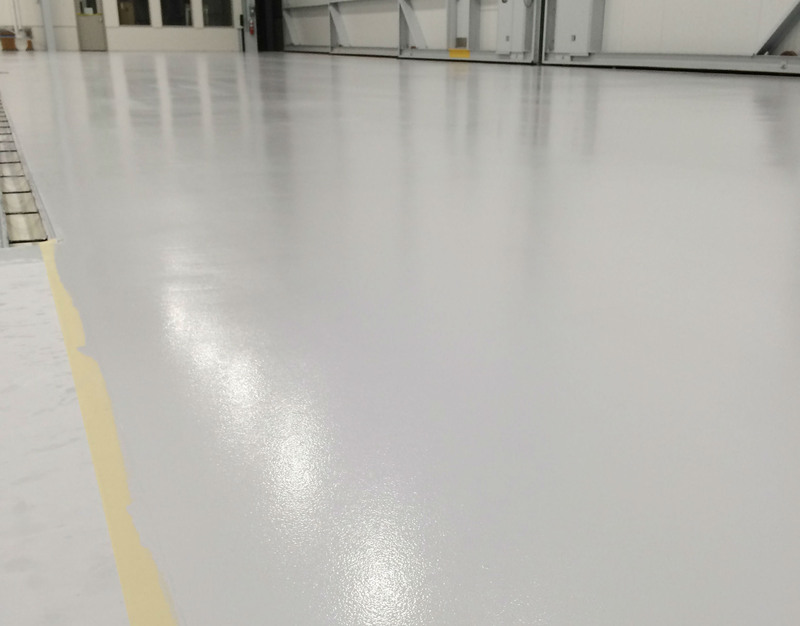 Browning Chapman performs work throughout the Midwest on new and existing facilities in the institutional, industrial, retail, commercial, office and distribution warehouse facilities markets. If you have questions about the products used for any of these jobs, the process, etc., please feel free to contact us or add to the comment section below. 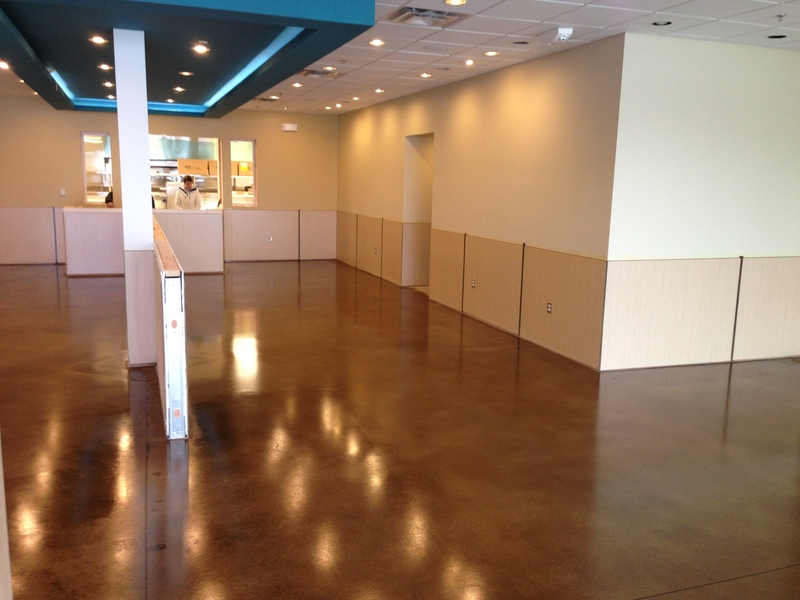 Also, please be sure to check out other impressive decorative concrete work in the customer highlights section. 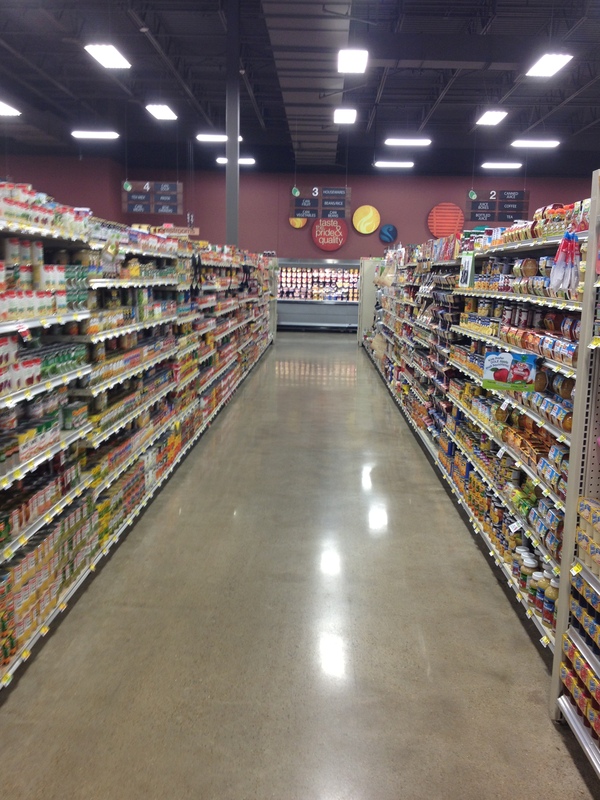 How do you change out the floor in a grocery store that remains open for business? The easy answer: use the right tools for the job. 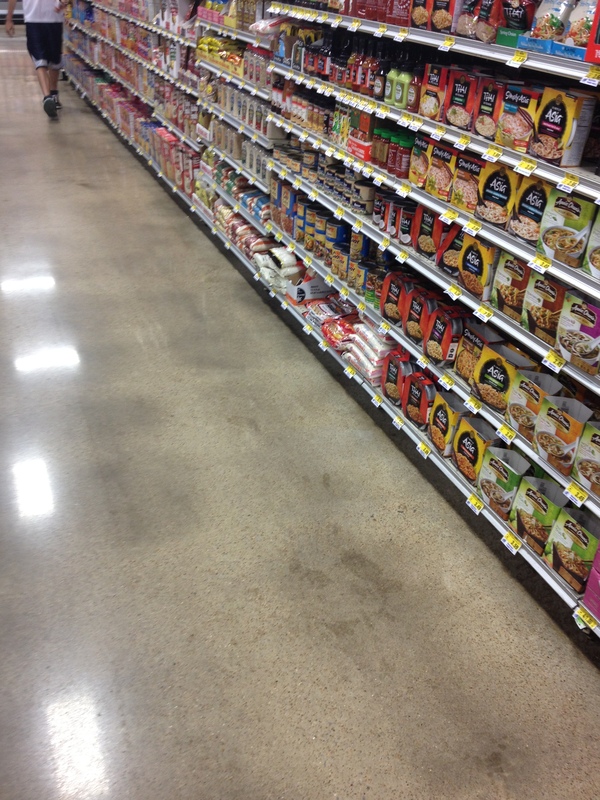 Exposed Floor Design Group had to work the night shift at a Brookshire’s store in Texas from 11pm to 6am, which did not provide a lot of time to get work done, especially when allowing for curing. However, the crew managed well by following tried and true steps and by using highly trusted Metzger/McGuire products. 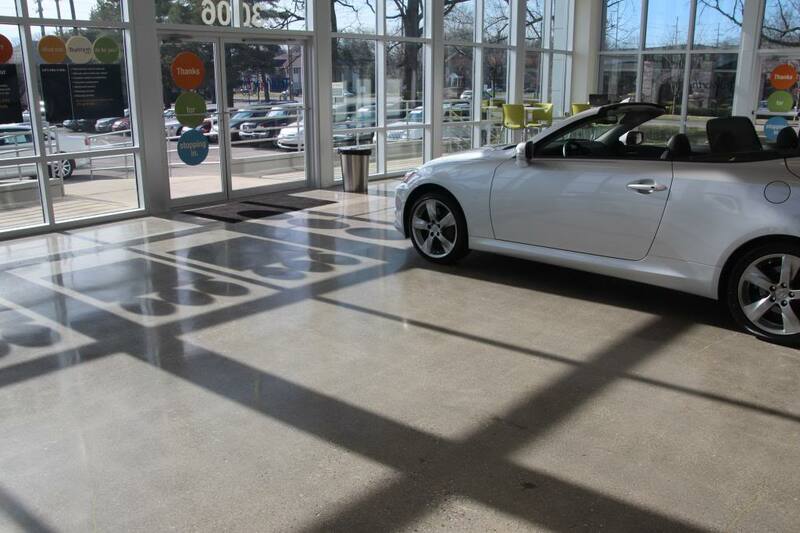 You can see how well the store’s floors turned out in the gallery below. The customer was incredibly impressed by the Rapid Refloor product. 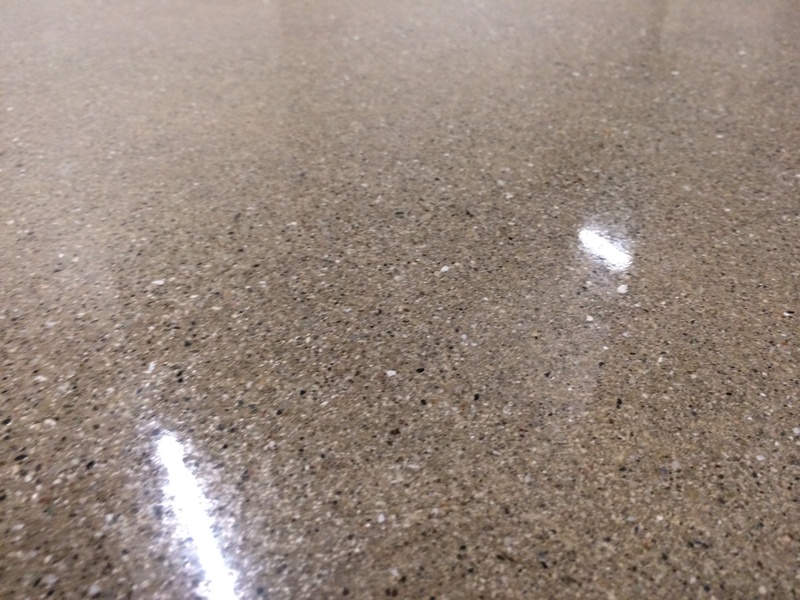 They found it to be aesthetically better, as it can be color matched, in addition to being durable and smooth. The key to Rapid Refloor repairs is to remove dirt from spalls, square the edges and sand flush to the floor. 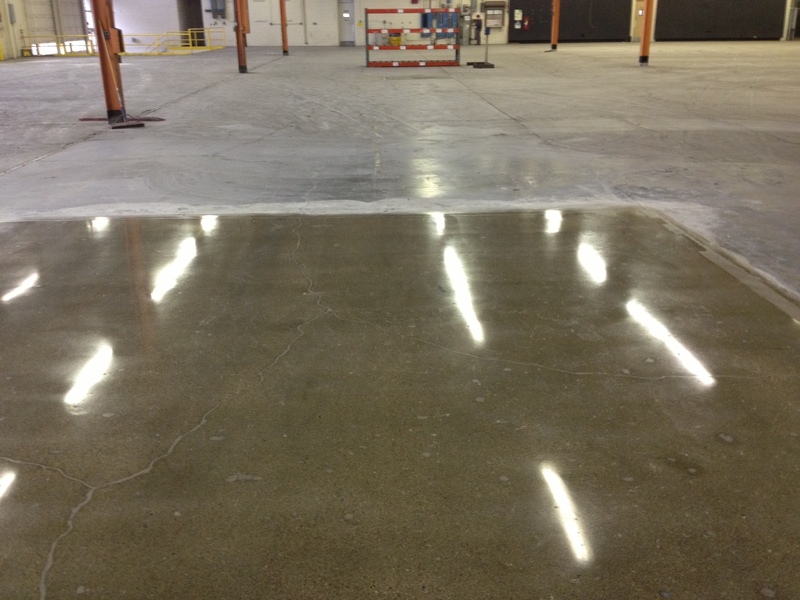 Exposed uses Rapid Refloor in the same way for several of its customers. 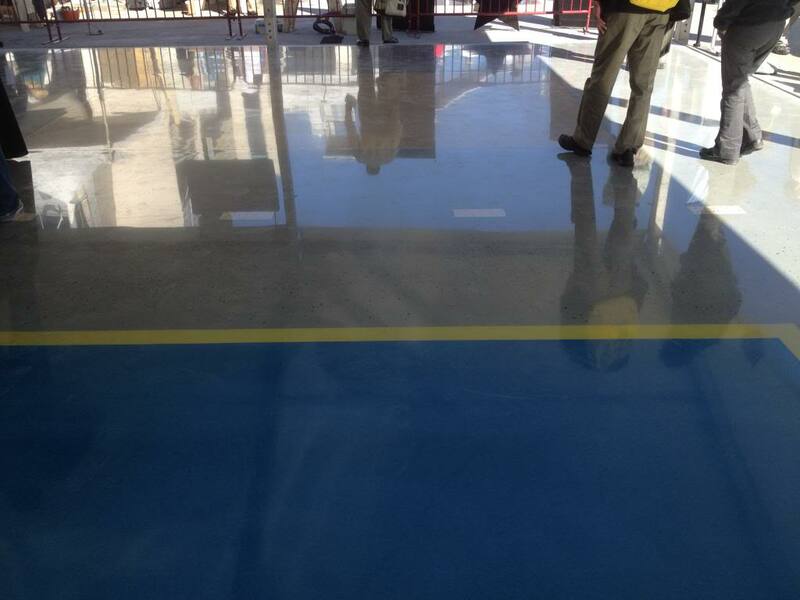 When you have small dents, chips and dings on your floor, Rapid Refloor is a great solution! For questions about this project, the process or the products, feel free to contact us or write in the comment section below! 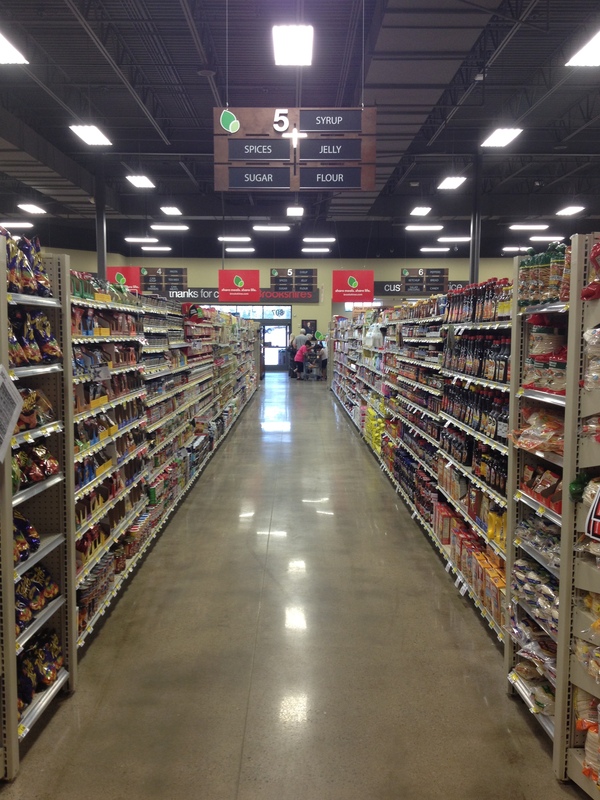 Also, be sure to find many more customer feature stories on our blog here.